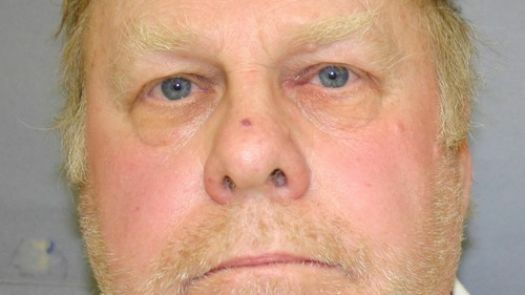 April 23, 2011 — Harvey Updyke: Tragically misunderstood figure, a victim, a befuddled old man worthy of our collective sympathy. What kind of human beings would we be if we didn’t extend a blanket of forgiveness toward this sad and broken creature? That’s the message that was shamelessly peddled by Updyke advocate and attorney Glennon Threatt during two straight days of pandering on the Paul Finebaum radio show last Thursday and Friday. Finebaum and Threatt did their dead level best to portray Updyke as a repentant and misunderstood man while they simultaneously minimized his actions with a steady stream of snickering and flippant comments. In the hands of Finebaum and Threatt the criminal was lamented as the victim while the victims were criminalized and marginalized. If Updyke is a victim, he is only a victim of his own ignorance, arrogance and hate. Updkye, the accused poisoner of the trees at Toomer’s Corner, is sad. Sad, pathetic, ignorant, shallow, bitter, frustrated and mean. He’s shown nothing that indicates he’s worthy of sympathy or forgiveness and he until he illustrates some understanding, he deserves none in return. Mere days after the poisoning of the trees was confirmed and the bleak prognosis for their recovery established, media talking heads and many opposing fans offered the opinion that the Auburn Family should just “get over it” and move on. Some ridiculed us for our anger. Some snickered privately and others publicly, belittling us because they were just trees and would grow back or could be replaced. We took that affront with the understanding that those who made comments of that nature had no comprehension of the meaning and importance of our tradition. Now, however, due to the tone of much of sports talk radio with Finebaum and Threatt in the lead, Auburn fans are being asked to view and accept Updyke as a tortured soul and a sympathetic character. We are supposed to feel bad for him. We’re supposed to forgive and forget. If we don’t shower him with compassion, somehow, according to Threatt and Finebaum that makes us the bad guy. What has Updyke done to deserve any sympathy? What has he done to earn our compassion? Why should we forgive him and move on? Has he shown any real remorse? No. In the only interview on record the only regret Updyke offered was that he called Finebaum’s show to brag about poisoning the trees, a call that resulted in his capture. He also lamented the fact that he may have embarrassed Alabama fans. Has he apologized for his actions? Has he apologized to the Auburn Family, to Auburn University itself or to Auburn administration? No. He says he is sorry he possibly made Alabama look bad and sorry he got caught. That’s not an indication that Updyke understands the gravity of what he’s done or the impact it had on hundreds of thousands of people, not to mention the damage he inflicted on decades of tradition. Rather than offer sincere and honest apologies, Updyke and his spotlight-craving attorney used the platform provided by Finebaum to create a fantasy world that does nothing but make the situation worse for all involved. Updyke claims he’s received scores of threats since he was identified as the “Al from Dadeville” who called Finebaum’s show and boasted of poisoning the trees. He’s also claimed through intermediaries to have been in exile, at various times living in his car on a riverbank. If Updyke was in hiding, just how were these alleged threats delivered, by carrier pigeon? If, as claimed, only a handful of people had any knowledge of his location, who exactly was sending threats his way? One of Updyke’s friends and his former landlord claimed in an earlier interview on Finebaum that the tires were slashed on Updyke’s car in a Wal Mart parking lot when he was released on bail. The allegation had no substantiation and is completely illogical. There was no receipt for new tires offered as proof. Beyond that, no one knew when Updyke would leave the jail. Nice story of poor old mistreated Harvey, too bad it seems most likely fabricated. Now Updyke claims to have been hit in the head at an Opelika gas station after leaving court this week. The “details” of that incident are fraught with inconsistencies, devoid of logic and seem primarily designed to help drum up public sympathy for Updyke. Finebaum accepts in blind faith that Updyke has been repeatedly threatened — a charge that has never been verified in any way, shape or form. Finebaum makes dire predictions about his inability to protect Updyke should he appear in person on the radio show. Finebaum’s part in this charade is almost as disturbing as Updyke’s. In his willingness to give Updyke and his attorney essentially an open microphone with no filter, and his eagerness to participate in the infantile snickering and giggling over the situation, he’s clearly established his position. Updyke’s crimes are insignificant to him and he will use his platform to trivialize and minimize them. Finebaum’s reaction likely comes from his frustration over being blamed for helping create an atmosphere where someone as unhinged as Updyke could possibly consider destroying a centuries-old landmark an appropriate response to a team he supports losing a football game. Finebaum vehemently and defiantly defended his role in the apparently escalating hostilities between the rival fanbases when the tree poisoning was initially confirmed. Now by minimizing the impact, by casting Updyke as a deluded and sympathetic figure acting alone, by blithely accepting ludicrious stories of threats, tire slashings and assaults, he further distances himself from the situation. It’s not his fault, it’s just the way things are. Oddly enough, Updyke’s own words betray Finebaum’s stance. In his latest interview he specifically blamed a Finebaum caller for providing the spark that fueled his hateful actions. When Finebaum stirs the pot with his callers, as he is prone to do, he can’t pretend to be surprised when one of them boils over. Finebaum allowed Updyke to call in on Thursday and babble on and on about the tree poisoning incident, the alleged assault and his pitiful existence in the aftermath. So the character of an accused criminal is impeccable while the statements made by people who have not been charged with anything is suspicious? Updyke, who seeks sympathy, wouldn’t lie to the police while innocent employees at a gas station would conspire to give false testimony? On what planet does that make sense? Is that how someone who is truly remorseful, someone who understands the reality of what he’s done, someone who is really interested in healing or in repairing the damage he inflicted would respond? No, it sounds more like someone who clings to the same bitterness and hatred, the same insecurity and arrogance that led him to act in the first place. Sympathy? No thanks. Not until and unless he’s ready to accept his own culpability. It is high time that we all band together EN MASSE and seek to end Paul Finebaum’s reign as “hate stirrer” in this state. I am hoping that the NTY Foundation will seriously take the lead in this effort. I suggest that we contact the founders of the “Tide for Toomers” movement and get them to help us rally many important and powerful (meaning FINANCIALLY powerful) Alabama alums and backers and we team them up with powerful and important Auburn alums and backers and lead a concerted effort to get Finebaum off the air and run out of this state once and for all! He is as evil as a Nazi skinhead or a KKK grand wizard in that he seeks to destroy Auburn as an institution and Auburn fans as human beings. I have no doubt that the hate in Paul Finebaum’s heart for the Auburn Family is no less a threat to the fabric of society than what the KKK did in the 50s and 60s! The only remorse Updyke has shown is that he is sorry he got caught. He deserves the maximum sentence. The best thing to do for PF is to stop listening to him. Finebaum makes his digusting living pandering to Alabama fans because without them, he’d have no show. There are “plants” who call in on “slow days” with inflamatory remarks about one school or another to get the “hate machine going.” Finebaum actually does very little in terms of legitimate sports news and does a great deal of harm with respect to fanning the flames of hatred between Auburn and Bama fans. People need to boycott his sponsors and force him off the air and relations between the schools would immediately improve. Finebaum puts himself in the same category as Shane, legend and the redneck from Columbus and other planted callers who call FB every day. That show is pure hate and vulgarity drivelled out on radio by a person who considers himself to be a sports talk host when he is nothing but another Jerry Springer on radio, who makes his living by promoting hate and violence. i hope somebody brings up the fact that he needs to be facing a charge for filing a false police report if he involved them in this little drama. Ditto on Finebaum. Let’s get him off the air and this is the medium to start it. I have $1,000 to donate to a startup effort. Still am amazed at the number of AU people that listen to PF. Generally I don’t hold media people responsible for irrational behavior of their listeners but by hosting Updyke and his shyster, PF has joined their defense team and is every bit the “co-conspirator”. Not only has Updyke shown no remorse, PF has not shown any remorse that one of his many nutty listeners went over the edge. I’d really like to see the 2011 Alabama football game book for their first game feature Harvey’s mug on the cover….he’s so bad looking and it’d be so appropriate. I actually rather like it that Alabama now has Harvey Updike and Brian Downing as the faces of their fan base. They serve as a fitting and honest cross generational representation of the type of people who support that team. We had Jim Fyffe as the voice of Auburn. They have Paul Finebaum. I tell ya guys. Life is good.